Hi, I’m Rachael and I’ve finally came up with a New Year resolution I think I should be able to stick to. 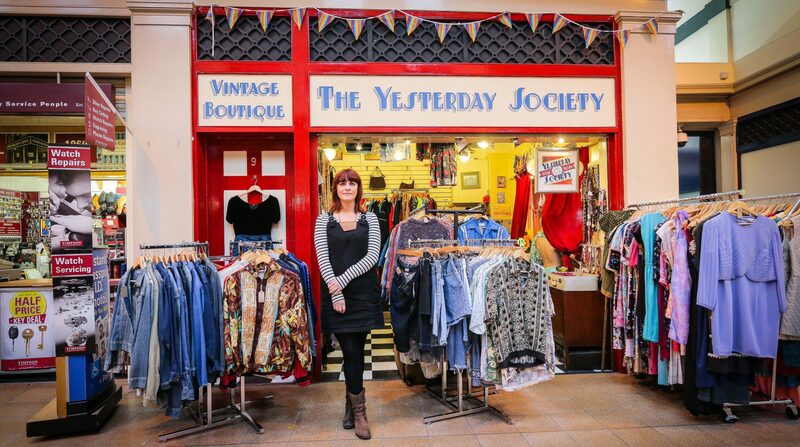 Forget giving up cheese and booze, this year I aim to write a blog about my life as the owner of The Yesterday Society Vintage Boutique in Newcastle upon Tyne. The best starting point is probably a bit of background about me and The Yesterday Society. I am a Newcastle lass through and through and was raised in Walker. I believe my love of vintage and flamboyant clothes can be attributed to my mam who took me on shopping trips to treasure troves like Attica as a kid and was known to overdress for any occasion. I have always loved looking different and standing out from the crowd, this has taken many guises from goth on “Hippy Green” to super girly all pink outfits. It was at Northumbria Uni while studying for a degree in Human Geography that I found my true style wearing vintage and mixing a variety of decades in one outfit. I’m not going to lie there was a couple of questionable outfits. Once walking into a lecture with a mate Jess and over hearing someone comment “what the hell are they wearing now”! But hey everyone makes mistakes. To complete my degree, I managed to write my Human Geography dissertation on identity creation through vintage clothes, this fuelled my love of vintage and allowed me to go shopping while doing my research. After graduation and becoming disenchanted with working at the Job Centre, I took myself off backpacking around South East Asia with my mate Kirsty. Returning jobless I managed to get a successful interview at the Tyneside Cinema working FOH. It was at my induction session that I met future friend and business partner Rosie Skett. Rosie was a fine art student at Newcastle Uni and we hit it off straight away. We worked at the Tyneside happily, but on one particularly boring bar shift we got to talking about our dream jobs, both agreeing that owning a vintage shop would be up there. As anyone who knows me will admit I’m pretty laid back and would never have got around to doing it, but luckily Rosie was on the ball and went on her dinner break to look at the vacant units in the Grainger Market. One being Unit 9, the now home of the Yesterday Society. From that point, everything seemingly fell into place we created a business plan, came up with a name after numerous suggestions (cat’s pyjamas anyone? ), applied for finance, secured the unit, found suppliers and two months after that initial conversation in the Tyneside Bar we opened the doors to The Yesterday Society on 31st August 2013. After settling into shop life, we became confident on what to buy, styled several catwalk collections and held events. 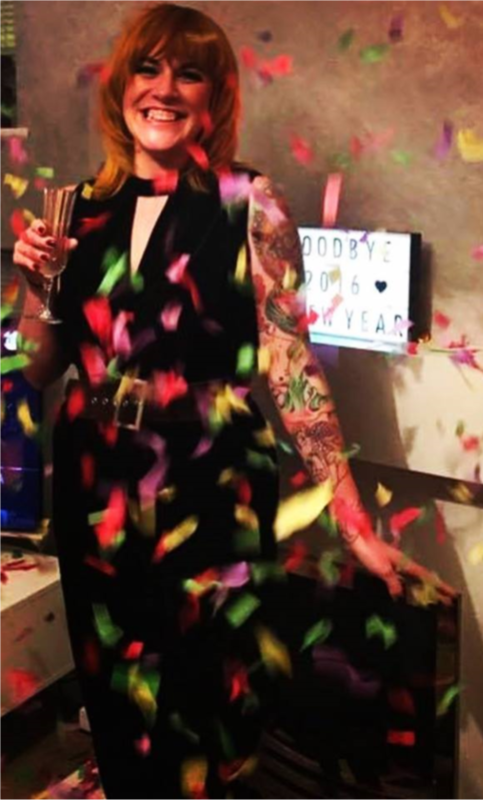 During this time, we both worked at the shop part time while keeping up part time roles at the Tyneside until April 2015 when Rosie moved down to London to work with the buyers for TK Maxx. At this point I decided to take the plunge and become the sole owner of The Yesterday Society. While thinking, I may go a little stir crazy and panicking at my lack of decision making ability, the pull of leaving the events world behind to listen to vinyl, drink tea and chat to folk about clothes all day was just too strong. In short, my advice to anyone thinking about starting their own business is give it a try, there is nothing better than working for yourself and doing something that you love. So, onto what to expect from this blog, I honesty I don’t know … but if you have any interest in The Yesterday Society and a Geordie lass who loves vintage, festivals, traveling, dogs and her fair share of mothers ruin it may be of interest. All the best and have a great 2017. Rachael on What is vintage? Steph McDonald on What is vintage? What is vintage? - The Yesterday Society on New Year New Me!